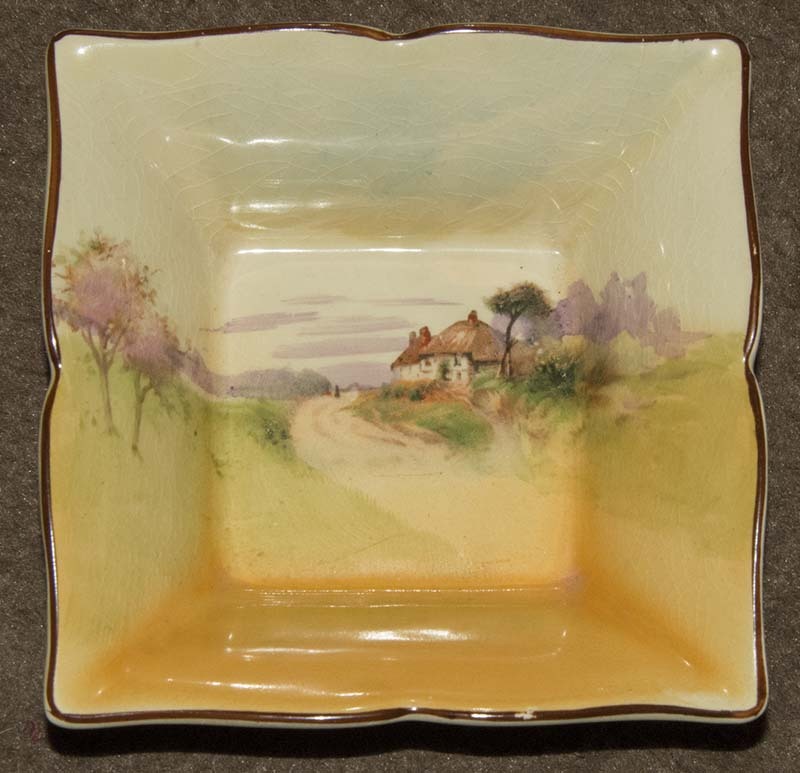 I've had this square Royal Doulton dish for a while and struggled with reading the markings. 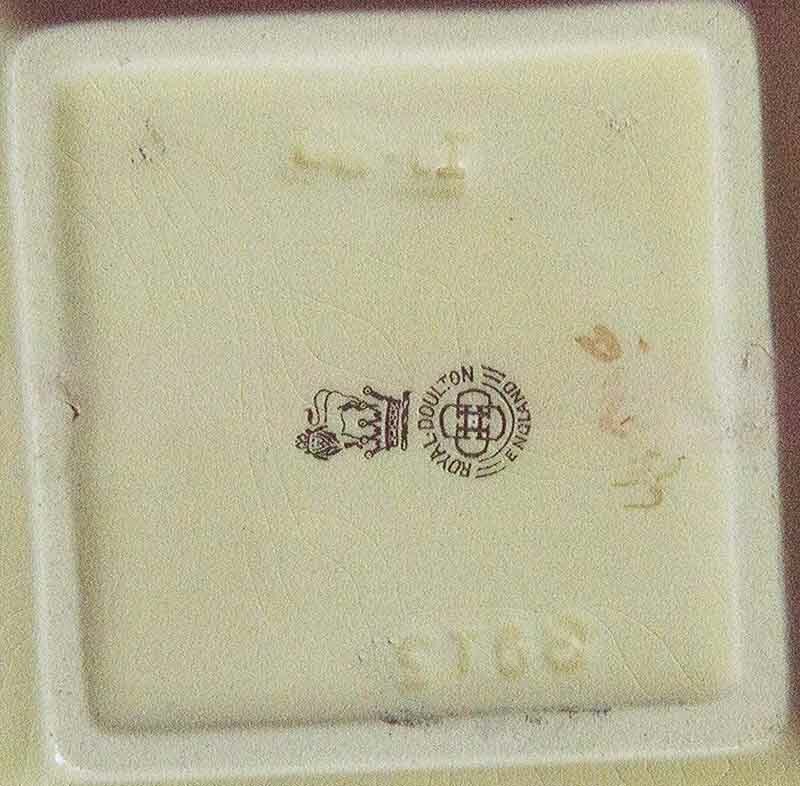 I can see that the stamp implies 1902-1920 and that it has an impressed number (3915), however I am unable to read the design number and two tiny impressed marks. 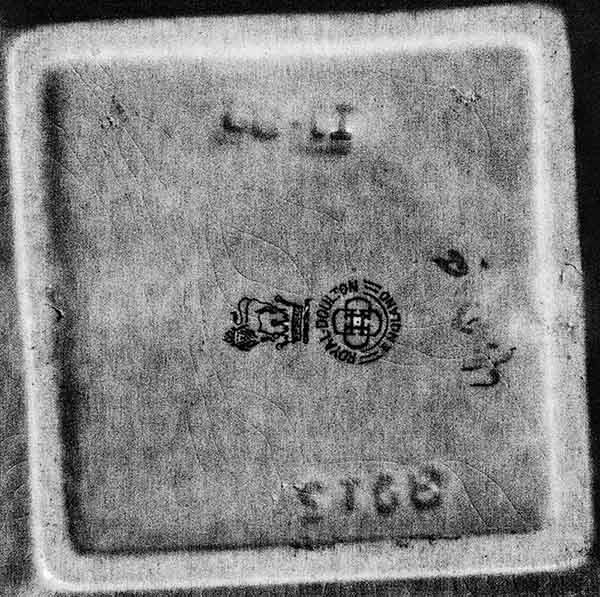 Has anyone seen these marks and are you able to interpret them. I've tried to enhance one image below to help. Its a little known fact but Doulton had a habit particularly on the Titanium glazed items from the same Burslem factory that made your item (at the same time too) of dating them. You have the design model number 3915, the artists signature painted on and I think likely the date. So I think its' (19)11, or November (11) with the obscured two numbers being the month or the year. My guess is 09 (Sept) or (19)22 from the pictures but you have a much higher chance of working it out it in your hands. Thank you Mordeep, that is most interesting. I shall pursue further to see if I can work it out. Regards.